The EU Sport Forum 2013 was organised by the European Commission on the 30th of September and 1st of October 2013 in Vilnius through the Lithuanian Presidency of the Council of the European Union. EOSE took part in this annual event and was represented by Stephen Studd, Executive Board Member, Aurélien Favre, CEO, and Carole Ponchon, PR and projects manager. 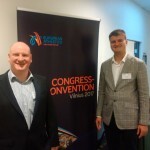 The Forum gathered over 300 representatives from the sport sector including international, European and national sport federations, European and national sport umbrella organisations, social partners, national ministries and other sport-related organisations. It was very encouraging to notice the growing number of participants representing the wide diversity of the overall sport sector and therefore to allow high level fruitful and constructive discussions on the future of EU sport policy. 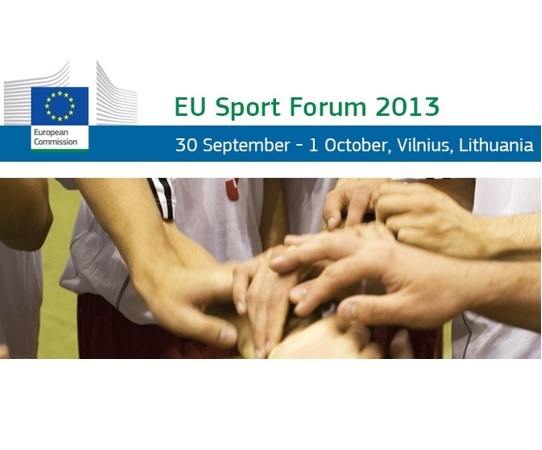 Indeed, the program of the forum was designed to consult with sport stakeholders and offer opportunities for participants to make suggestions, express opinions and concrete proposals to the EU Work Plan for Sport 2011-14 and future priorities. 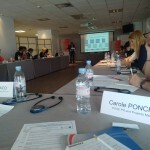 Transnational projects funded by the European Commission through the EU Preparatory Actions in the field of sport 2011 as well as the work carried out by the various EU Expert groups were presented, questioned and discussed both by participants and the European Commission, including the EU Commissioner Mrs Androulla Vassiliou. 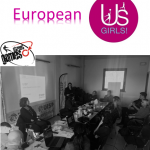 The activities implemented through the EU Expert Group on Education and Training in Sport, in which EOSE is acting as official observer, was presented by its chair Mr Guy Taylor. 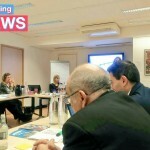 Moreover, the European Commission together with the Executive Agency Education, Audiovisual and Culture (EACEA) presented the new EU programme for education, training, youth and sport entitled Erasmus+ which will begin on 1st of January 2014 for a period of 7 years. Current funding programmes run by the European Commission in the area of education, training, youth and sport, such as the Lifelong Learning Programme, Youth in Action and other international programmes, will cease at the end of 2013, and the Erasmus+ programme is intended to support activities in education, training, youth and sport in all sectors of lifelong learning (Higher Education, Further Education, adult education, schools, youth activities etc). to promote voluntary activities in sport, together with social inclusion, equal opportunities and awareness of the importance of health-enhancing physical activity through increased participation in, and equal access to sport for all. It was also mentioned that the first Call for Proposals is going to be published in November 2013 with a deadline for application to be submitted mid-May 2014. Results will be communicated in September 2014 for a start of the activities early 2015. The second day focused mainly on the issues around dual careers for athletes including testimonials from Mr Juan Antonio Corbalán and Mr Šarunas Marciulionis on their personal experiences and a panel debate gathering key experts around the EU Commissioner Mrs Androulla Vassiliou. Let us conclude this brief note with one strong message from EU Sport Forum participants we believe is of high importance to highlight: sport should be even more mainstreamed in EU policies!